Known for his wonderful contribution to the fashion industry, photographer Norman Parkinson was renowned for his Vogue front cover shots. This stunning image was captured in March, 1951, showing a beautiful tiered evening dress being worn by an elegant model with a bunch of flowers placed on her lap. Scattered with extravagant jewellery and her hair neatly curled and swept back, this perfect picture oozes class and sophistication. 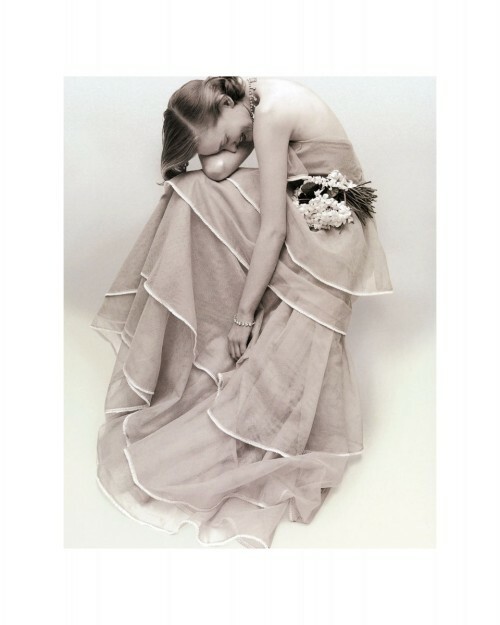 via Tiered Evening Dress, March 1951, Norman Parkinson Print: 50cm x 40cm – Buy Online.